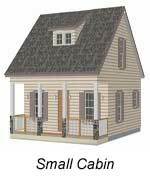 Small cabin house plans are ideal whether used as the your getaway sanctuary, back yard office space for entrepreneurs, hunting cabin, beach bungalow, lake front respite, or even converted to your "man-cave" or "woman-cave"! 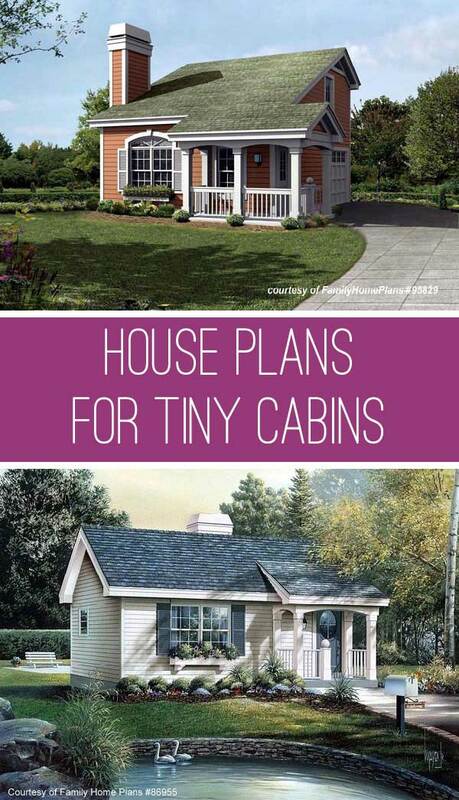 These cabins might even work well as 'tiny houses' too. 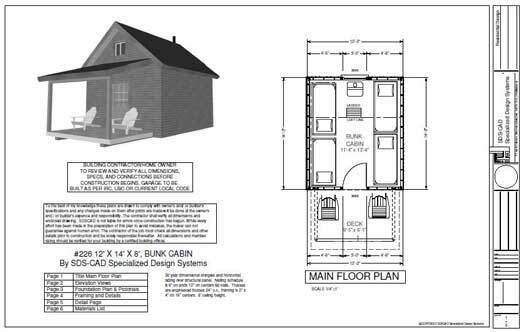 Although cabins are usually under 1000 square feet, options abound and choosing the right cabin floor plan has never been easier. 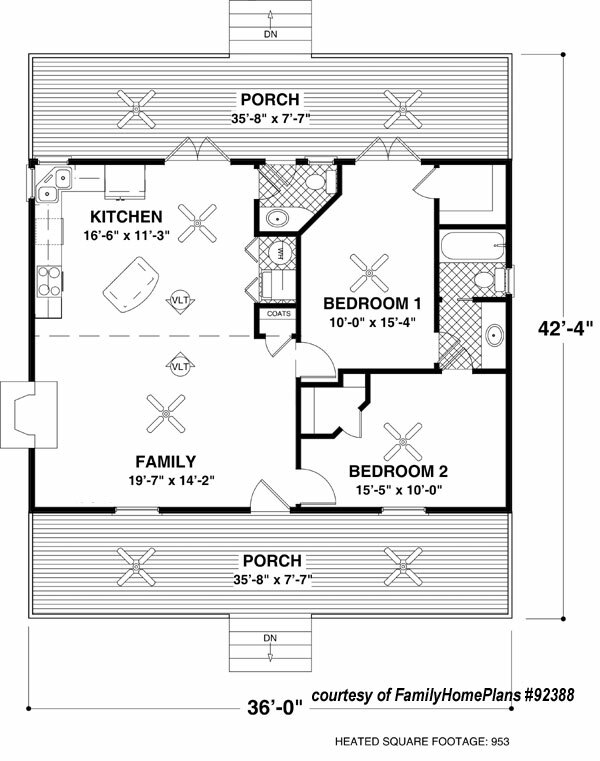 Whether you are looking for a modest space or perhaps something a little larger to accommodate your family or a group of your friends, one of these plans should definitely fill your needs. 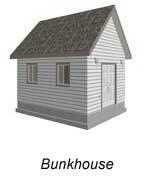 A truss roof design makes for easy construction and you can have modifications made to this plan. 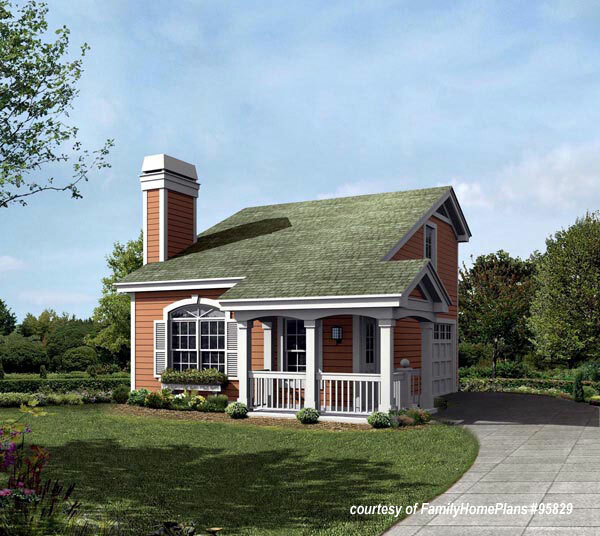 For example, you could opt for a metal roof (which we love! 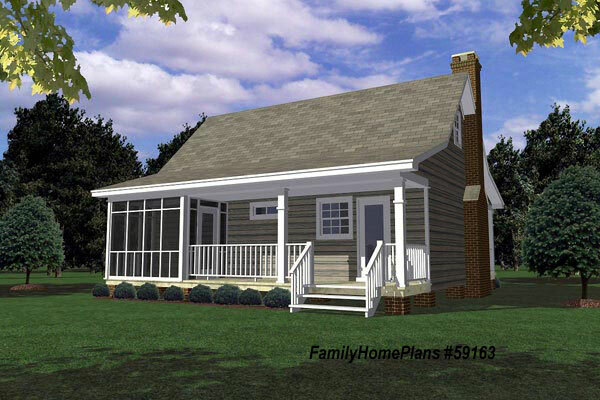 ), add more windows, or extend the porch across the entire front. 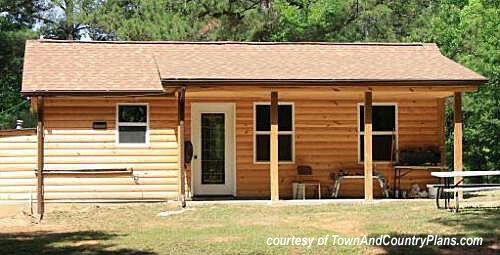 Use this charming 953 square foot cabin as the perfect vacation or hunting cabin. 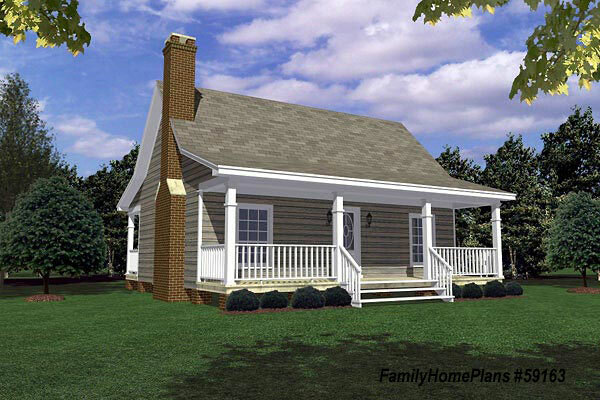 Two porches, spacious bedrooms, large kitchen, fireplace, and vaulted ceilings make for a very functional, inviting cabin house plan. Can you smell the marshmallows roasting already? How about sitting in the backyard and taking in the fresh air and warm breezes - while floating on the hammock, of course. 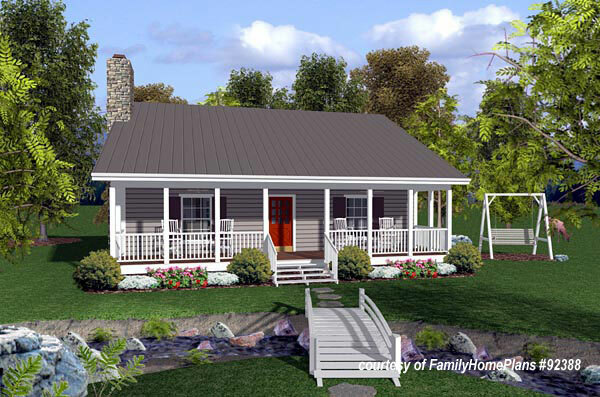 Who wouldn't enjoy this small cabin house plan with a wrap-around porch! Ideal as a work-at-home office, hideaway, or even a guest house. Hunters will love the attached garage. 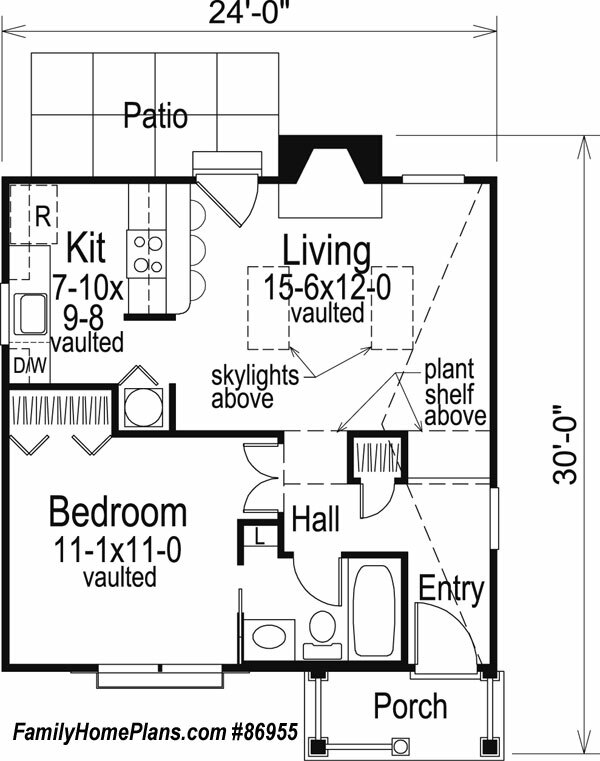 Vaulted ceilings give way to a second story bedroom with bath and walk-in closet. 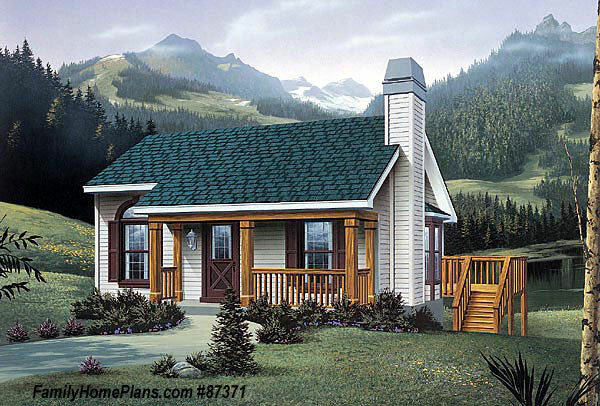 Mary and I can picture this stunning cabin nestled in the woods. 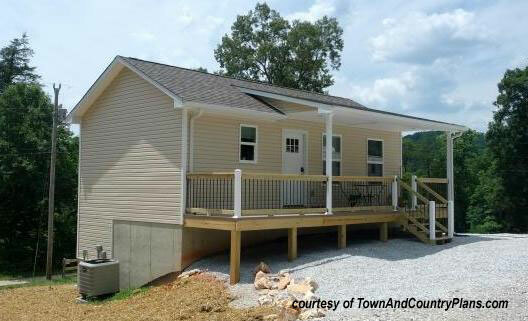 Relax on the front porch and enjoy the view of the lake or mountains. 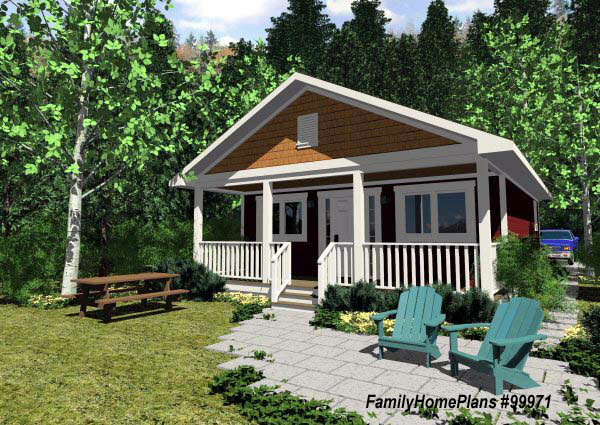 The elements of this 914 square foot small cabin house plan combine to make it a wonderful get-a-way from which to write your novel or to hike the countryside. Just bring your laptop and your walking shoes! 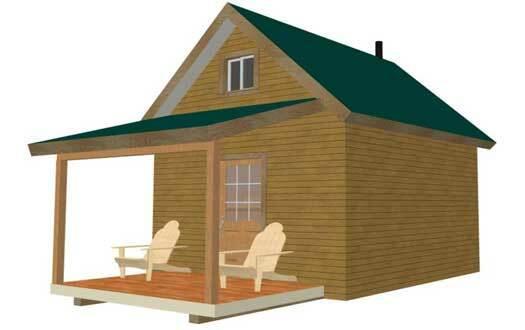 Relax on the front porch for the weekend or the week! Ok, if this were your vacation house, who would ever want to go home? Really, it's so romantic. A fisherman's paradise. 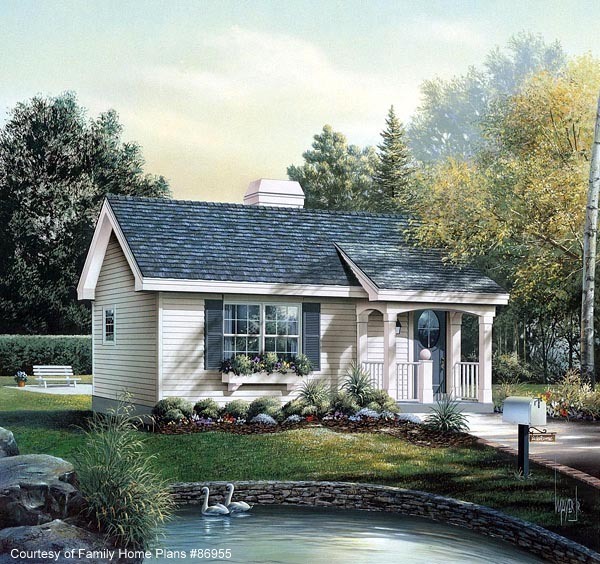 Can you picture the kids catching fireflies at dusk? 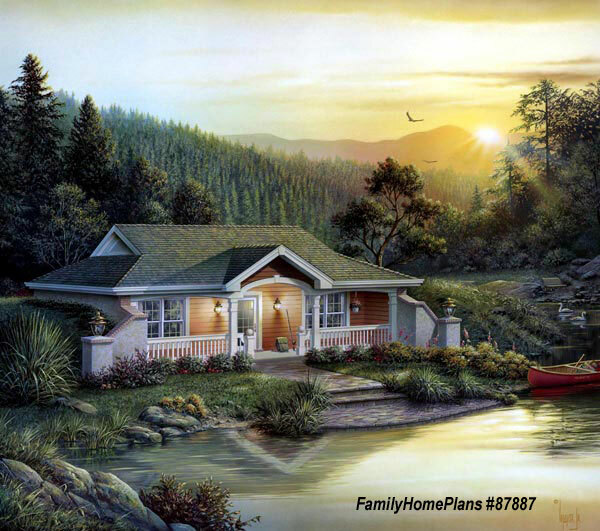 How about sitting on that front porch and thinking of the memories of the day. 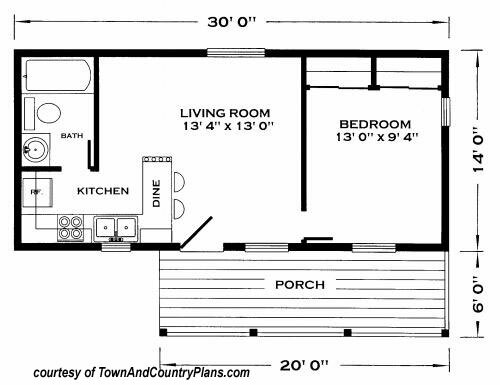 At only 598 square feet, this small cabin floor plan below is perfect for a weekend get-away or for your hunting cabin party. Compact in design yet handles four to six people with ease. 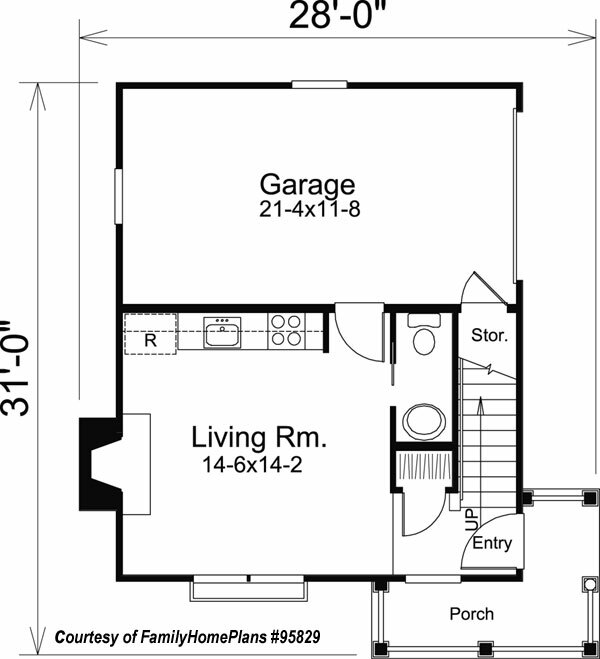 An open living room, kitchen, and dining area gives it a more spacious feel. Looking for something a little more rustic? 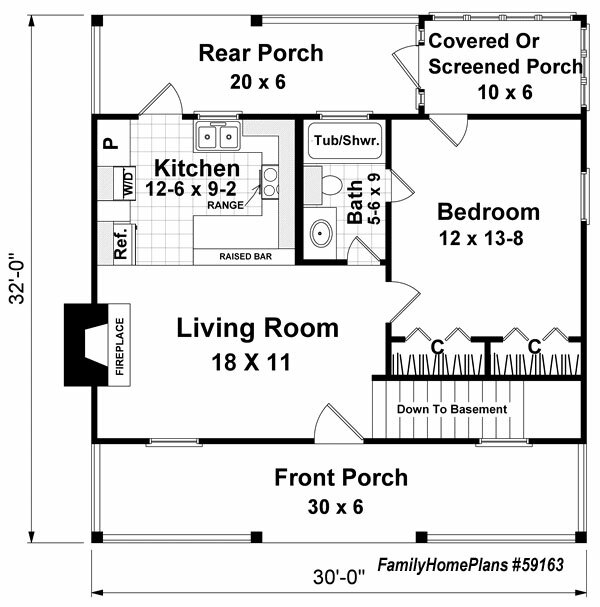 Check out these plans courtesy of Town And Country Plans.com. 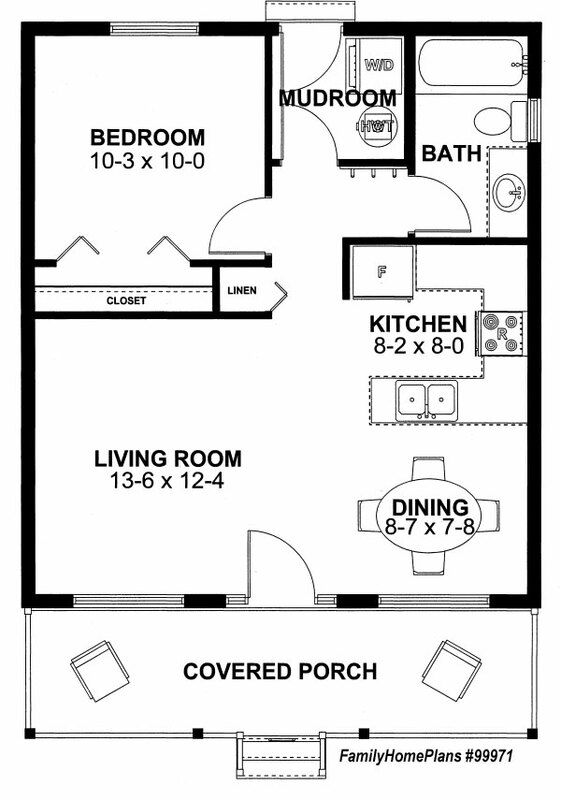 We also show you how others have used or modified they plan to create their own functional and appealing structure. 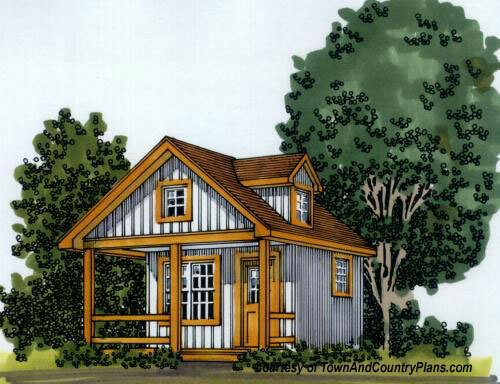 You can find these small cabin house plans and more at Town and Country Plans. 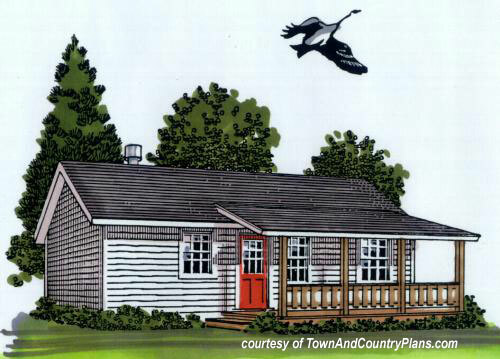 We appreciate Town and Country Plans for allowing us to share their plans with us. 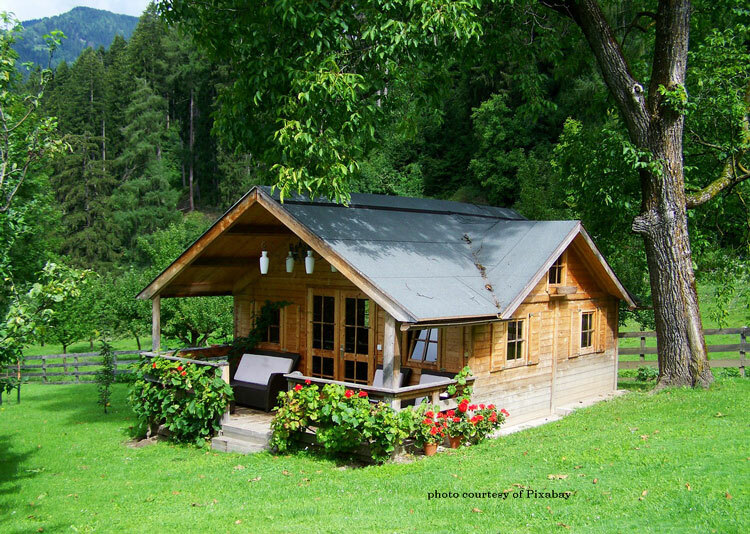 Take a storage shed and convert it to a small cabin. 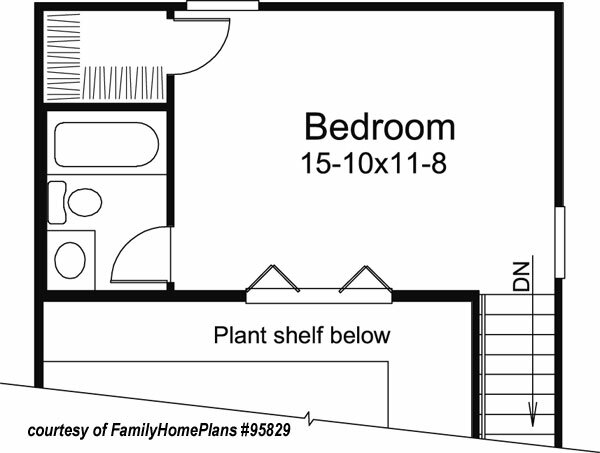 Usually plans are simple enough to add extra space by extending walls and the roof. 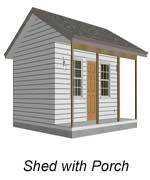 By doing so, you can easily turn what was a typical storage shed into a more spacious structure. 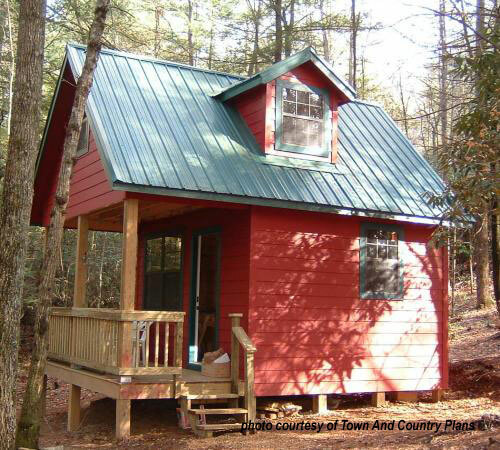 Bunk houses are sought after by hunters, those who love to fish, or just get away from it all. Just a few steps above a tent, most can be converted with a few simple amenities to make your cabin experience more comfortable. Expand your world. 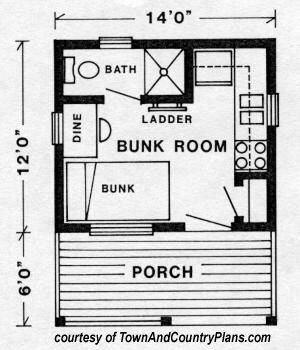 Create more storage - or a little hideaway! 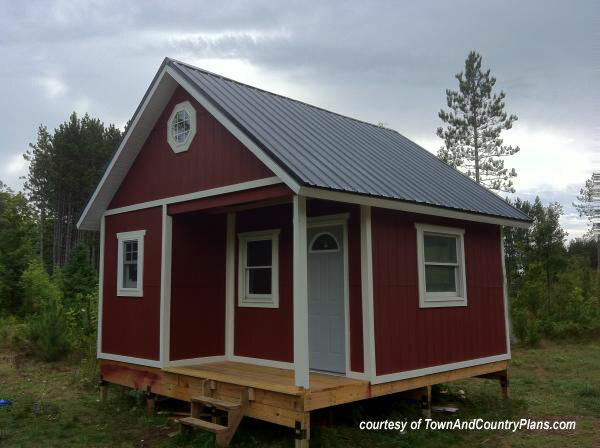 Tiny houses are very popular and many tiny house designs offer porches too.